If you're interested in medication, drug therapies, and other aspects of pharmaceuticals, but you can't see yourself working behind the counter at a hospital or drugstore as a pharmacist, filling prescriptions and interacting with patients and customers, there's another option you can pursue—pharmacology. Pharmacologists research and test medications and chemical compounds for the development of drug therapies, the prevention of drug interactions, and so forth. Specifically, these experts study how drugs are broken down, absorbed, and spread throughout the body. They also look at potential side effects of various drugs. "Pharmacology is the science of how drugs act on biological systems and how the body responds to the drug. The study of pharmacology encompasses the sources, chemical properties, biological effects and therapeutic uses of drugs," according to the American Society of Pharmacology and Experimental Therapeutics(ASPET). As a career, pharmacology offers a variety of paths. For instance, clinical pharmacologists focus on the effects of medications for treating disease. As defined by the American College of Clinical Pharmacology (ACCP), these professionals "bridge the gap between science and the practice of medicine through innovative research, development, and regulation of medications." By contrast, toxicologists study the effects of drugs and combinations of drugs and other substances on the body. Some pharmacologists focus on drugs and other substances for dental use, while others specialize in veterinary medications. Pharmacologists can work for pharmaceutical manufacturers on the industry/commercial side of the field. Or, they can work for a university in teaching or research. Additionally, pharmacologists can work in labs, such as a research lab or crime lab. Most pharmacologists earn a degree called a Pharm.D., which stands for Doctor of Pharmacy, from a pharmacy school (two years of undergraduate, pre-professional college coursework, plus four years of professional study. It's the same education traditional pharmacists go through.) Another education track for pharmacologists is a Ph.D. in pharmacology. Many professionals in the field hold both a Pharm.D. and a Ph.D. The coursework that's necessary in order to complete either type of degree is similar to that required for other science and medicine tracks. Expect to immerse yourself deeply in a great deal of biology, chemistry, math, and other sciences. 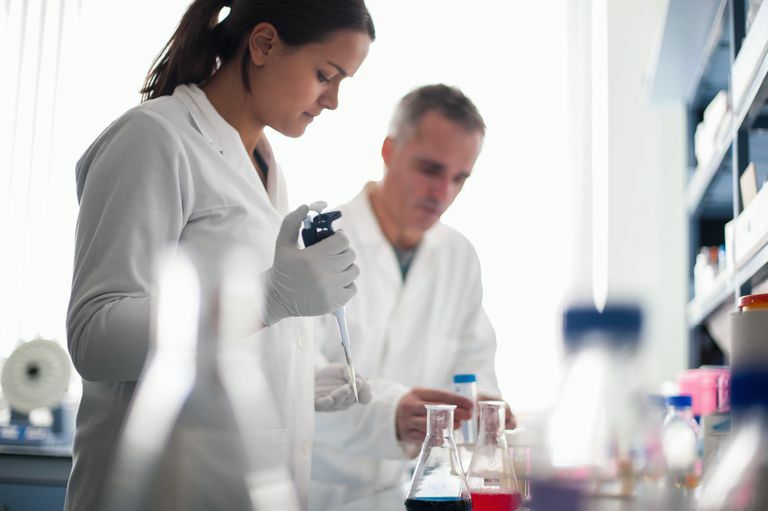 If you pursue a career in pharmacology, you'll likely find plenty of opportunity for advancement: According to the U.S. Bureau of Labor Statistics (BLS), job growth for pharmacologists is favorable, particularly for those with doctorate degrees. Of course, your trajectory will depend largely on where you're employed, which could be anywhere from a big pharmaceutical company to a small private research lab to a university classroom where you teach rather than do clinical work. These factors will play a part in how much money you make too, of course. Here's what the BLS said about pharmacology salaries in a May 2012 report: "... pharmacologists earned an average of $87,830 per year. The best-paid 10 percent earned $146,650 or more annually. The two best-paying states were Idaho and Oklahoma, with average annual salaries of $154,990 and $131,910, respectively." Regardless of where you wind up working as a pharmacologist, you will likely make a very good living doing something you truly enjoy.